Kerrie is a highly experienced educator, beginning her career as a teacher and executive member in schools across the state of New South Wales. For over 20 years she worked at the systems level of the education department as a director of schools, senior policy adviser, and senior administrator. Kerrie currently works as a consultant and researcher in leadership, organisational development, and evaluation-capacity-building. Kerrie is passionate about lifelong learning and giving back to the profession from which she has gained so much. As a result she has played an active role in professional associations at both state and national levels being elected as president and vice-president to three such associations. She has served as vice-president of the Institute of Senior Educational Administrators of NSW for over 15 years during which time she led five study tours of senior officials to North America, Asia, Europe and the UK. Kerrie’s strengths and research interests are in instructional leadership development, empowerment evaluation, evaluation capacity building, and organisational development from a values and trust-based lens. Her development of a new process that empowered leaders to evaluate their own schools and develop their staff and community in evaluation processes led to the Award for Excellence in Evaluation by the Australasian Evaluation Society in 2008. 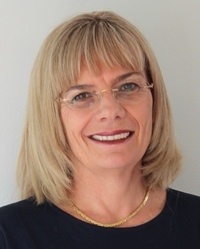 She has considerable experience working with individuals and teams to facilitate change, undertaking large-scale evaluations, working in partnership with universities on major research projects, conducting seminars with diverse large and small audiences, developing and facilitating professional learning programs, and presenting at national and international conferences. As well as being a qualified teacher holding a Bachelor of Arts and Diploma of Education from Sydney University, Kerrie has a Master of Educational Administration in policy analysis and a doctorate (PhD) in evaluation through the Business School at the University of New England.